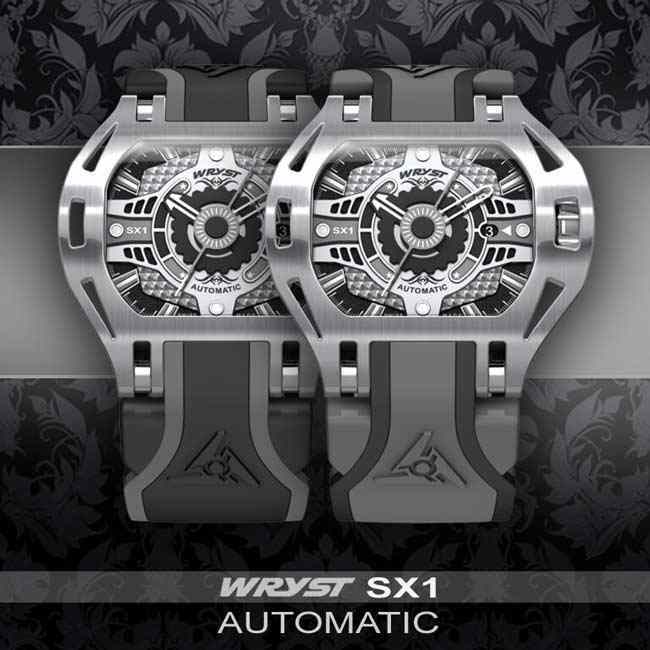 Automatic Swiss watch Wryst Racer SX1 to awake your senses and competitiveness. Are you the kind of guy who has a passion for the good mechanic? 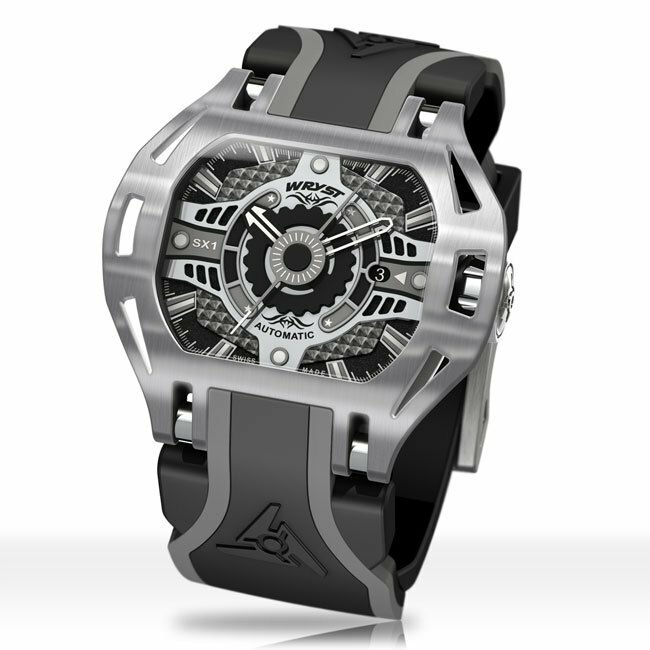 With brushed metal casing and a head-turning black dial, the Wryst SX1 automatic Swiss watch is for racers. Add exclusivity and uniqueness to your life with a collectible luxury watch produced in limited edition of 75 pieces. Wryst offers here an all-around winner, from left to right and back to front. Automatic Swiss watch Racer SX1. Directly inspired by motorsports and racing, the aggressive 50mm case design is just too special to be true. Wryst excels in exclusivity! 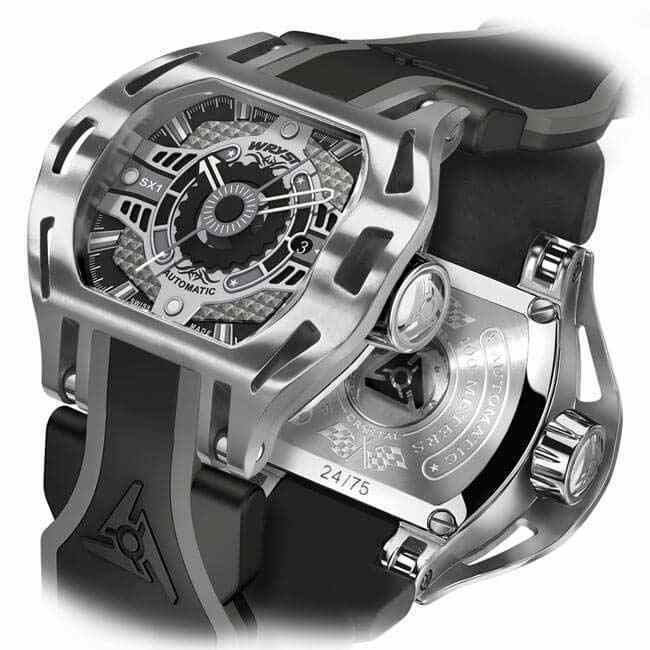 Prove you have the strong personality a winner requires and become one of 75 people who will ever wear this timepiece. There are literally no chances you will ever meet with someone wearing the exact same automatic Swiss watch. The strength and durability of your collectible automatic watch are important. Wryst provides just that. 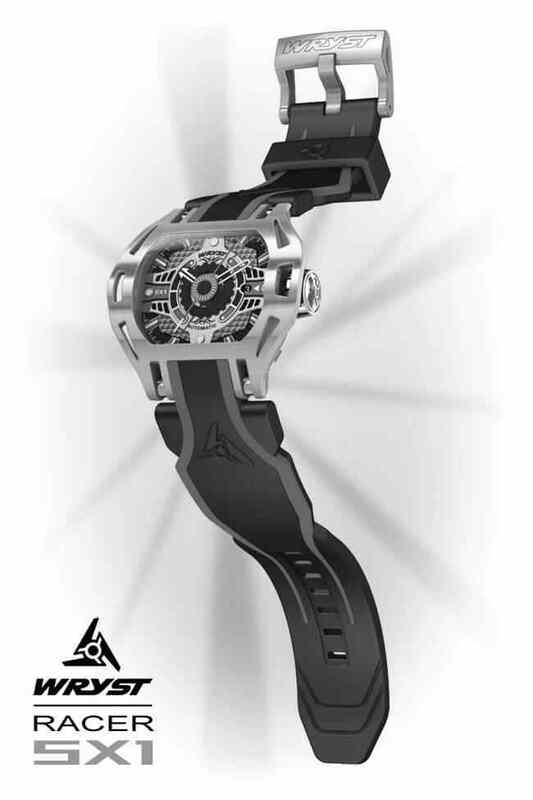 The Racer SX1 holds a 26 jewels self-winding movement with a frequency of 28'800 A/h. If you do decide to take your watch off, the escapement will deliver power reserve for up to 38 hours. The stylish case is forged in the hardest stainless steel ever produced with a grade 516L. A two-millimeter curved sapphire crystal with also guarantee your investment will not be deteriorated by unvoluntary scratches. Moreover, the sturdy screw-in crown secure further the water-resistance of up to 100 Meters. So that is that. We have here all that is required to satisfy the most demanding individuals. 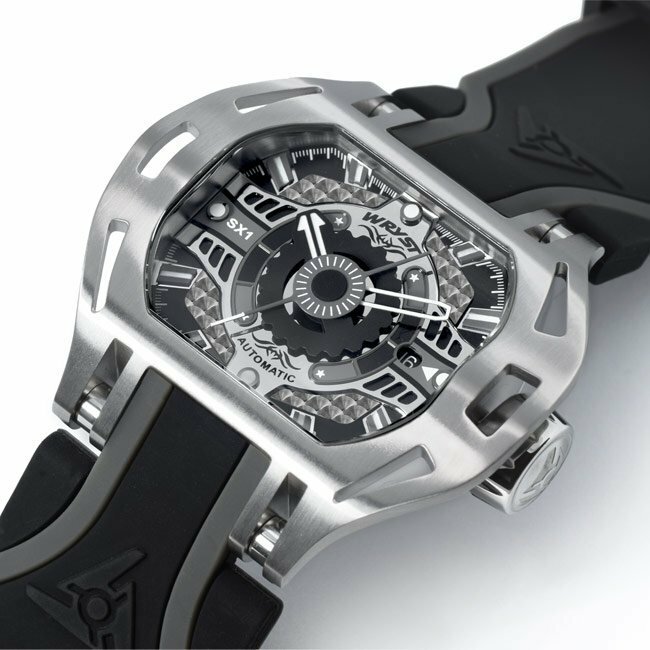 More than you would expect from any other more expansive automatic Swiss watch. The moving parts of this lively automatic Swiss watch are a True Delight for the Eyes. On the case back the original and untouched manufacturer oscillating weight is revealed through a smoked crystal behind Wryst printed logo. Engraving details are a reminder of the watch high specifications. 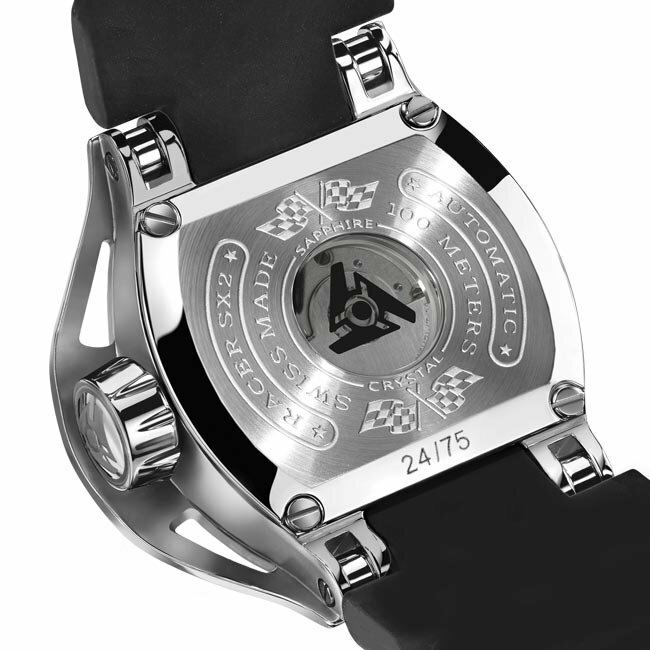 Inscriptions such as "Swiss Made", "100 Meters", "Sapphire Crystal" and "Automatic" are added to the racing flags artwork of the Wryst Racer collection. On the polished low chamfer, the serial number of this collectible limited edition of 75 automatic Swiss watches is revealed. On the left of the watch body in engraved "Racer Automatic". 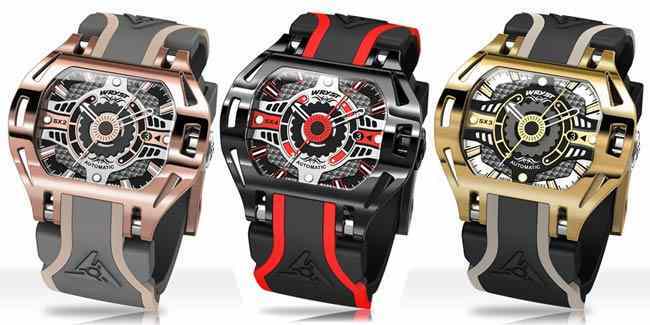 All luxury automatic Swiss watches for sports Wryst are presented in a sleek wooden box with leather lining. If you think the Wryst Racer is only providing reliable quality mechanic, astonishing style, and enhanced luxury feel, think again! 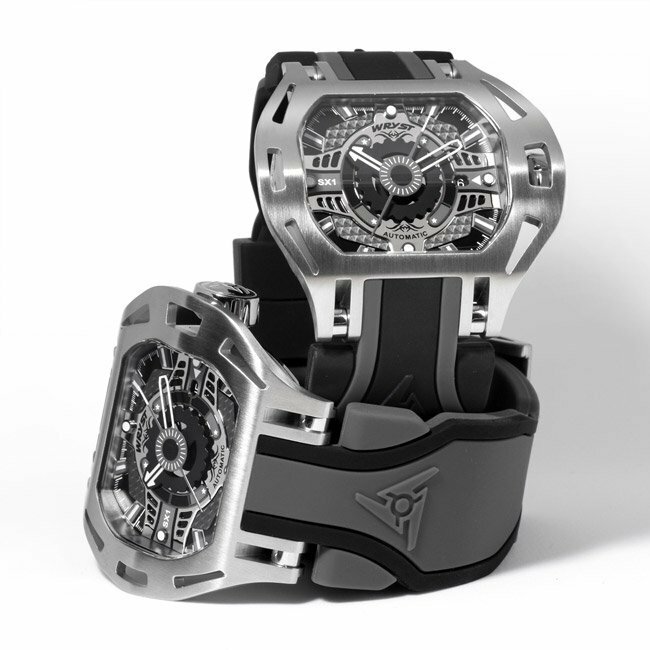 Two different double injection silicone bracelets are provided with each one of the Wryst Racer watch references. 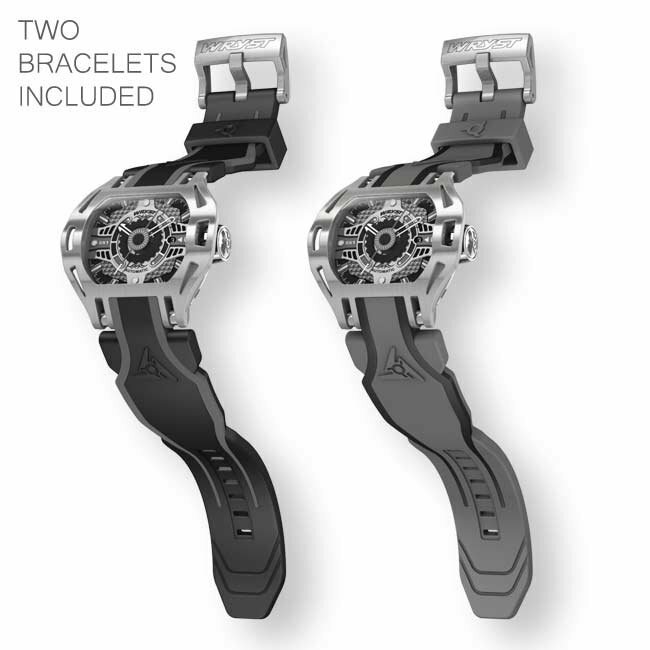 For this particular automatic Swiss watch SX1 feel free to choose between the black/grey or grey/black large bands adapted to small, medium and large size wrists.